Really this isn't any big deal. 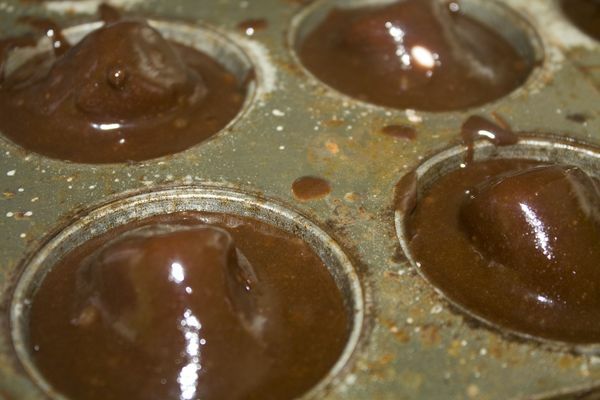 Just a plain old brownie mix. 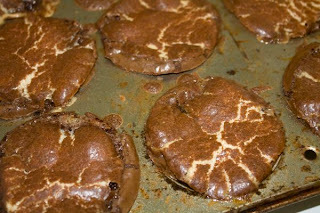 I wanted to see if I could stuff a marshmallow in them, so I tried baking them in a muffin tin. I placed some batter in each muffin tin, followed by a large marshmallow, and then more batter. 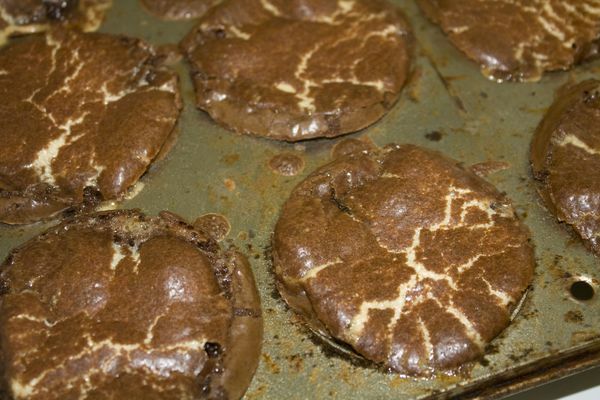 I baked these at 325 degrees for about 45 minutes. 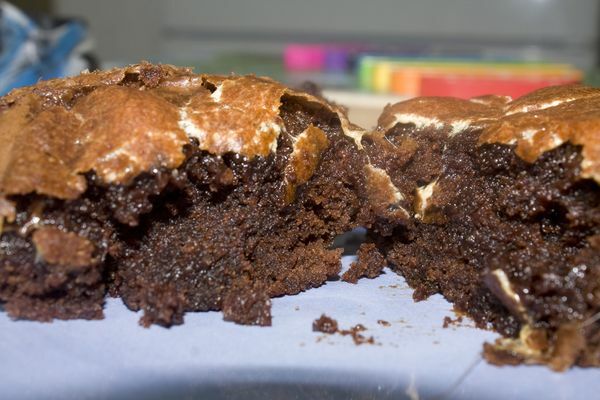 The marshmallow ended up melting across the brownie instead of staying stuffed in the middle, but what amazed me was how perfectly baked all the brownies were. They were very moist all around. 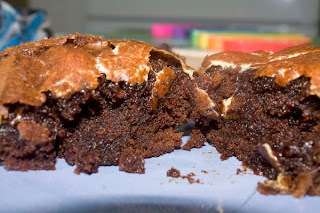 Even the edges (my least favorite part) stayed nice and moist. 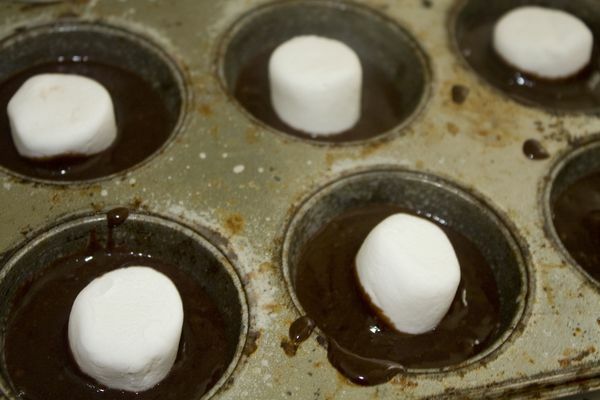 Definitely a good way to get evenly baked brownies!